Book Traveling Thursdays is a weekly bookish meme hosted by Catia and myself. In order to participate, you can go to the Goodreads group at the beginning of each month to see a list of weekly themes. After choosing a book that fits the theme, you look at different covers of different editions and write your blog post with the original cover, the covers from your country, your favorite cover, and your least favorite cover. To find out more, you can check out our Goodreads group! This week’s theme is your favorite childhood book. If you are anything like me, you have been reading as much as you can since you had the capability of reading. Neither of my parents read a lot, which is why they always joke about not knowing where my love of books came from, but once I started, I never stopped. I love this week’s topic because it is so broad. Different people consider their childhood to be up to the age of eighteen, while others consider it to end around thirteen-years-old, ultimately changing the books they would consider childhood books. In my sixteen years of life, I have had so many favorite books depending on how old I was. 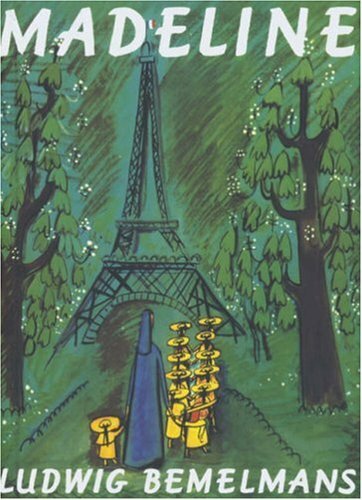 After looking at the variety of covers in my favorite childhood books, I decided to write this week’s post about Madeline by Ludwig Bemelmans. When I was a toddler, everything was Madeline. I still have all of the books, movies, dolls, and Christmas decorations my parents bought me when I was in my Madeline phase. My dad still says, “We love our bread, we love our butter, but most of all we love each other,” whenever we have buttered bread. Something about those twelve little girls in two straight lines grabbed my attention and never let it go. This cover was released in London in 1939. 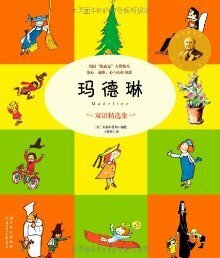 It is absolutely beautiful, which is probably why almost every Madeline cover looks very similar to it. 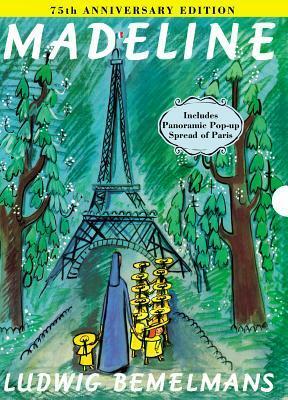 This is also the cover that was used when Madeline was released in the United States. The only thing that slightly bothers me about this cover is how dark the colors are. Since it is a children’s book, I think the dark colors would turn some little kids away from the book. This is the 75th anniversary edition, which is pretty similar to the original cover. What I like about this cover is that the entire color scheme is brighter. This is the Chinese edition and it just disgusts me. They tried so hard to make it look like a children’s book, that it looks like a child designed it. Did you guys read Madeline when you were little? What do you think of these covers?